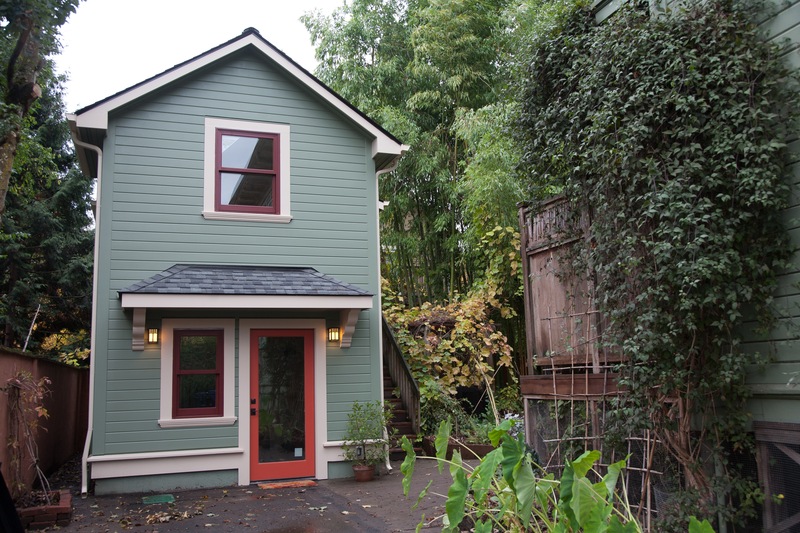 There are more ways to create an accessory dwelling unit (ADU) than I could have imagined when I first started the ADU Case Studies Project in the winter of 2013. I knew, for instance, that people were converting their detached garages into mini-houses, turning their basements into apartments, and adding backyard cottages. But I didn’t realize that there were so many other ways to create an ADU. Many of these ADUs are possible because the owners were committed to thinking outside the box to find creative solutions to address their family’s needs and desires. In many cases, they are also the result of creative and thoughtful interpretation of ADU regulations on the part of permit counter staff who appreciated the intent of the project and helped figure out how to make it possible. We’re grateful to all of you for these fascinating examples! Joan Grimm & Rita Haberman’s ADU: Carving Out a Studio: Joan Grimm and Rita Haberman found that they weren’t using their spare bedroom and guest bath very often so they worked with RS Wallace Construction to wall it off, add an exterior entrance, and turn it into a tiny studio. Barbara Gundle’s ADU: A 2-Story Garage Conversion: Barbara Gundle’s garage in the historic Irvington neighborhood had a second floor studio that was underutilized. 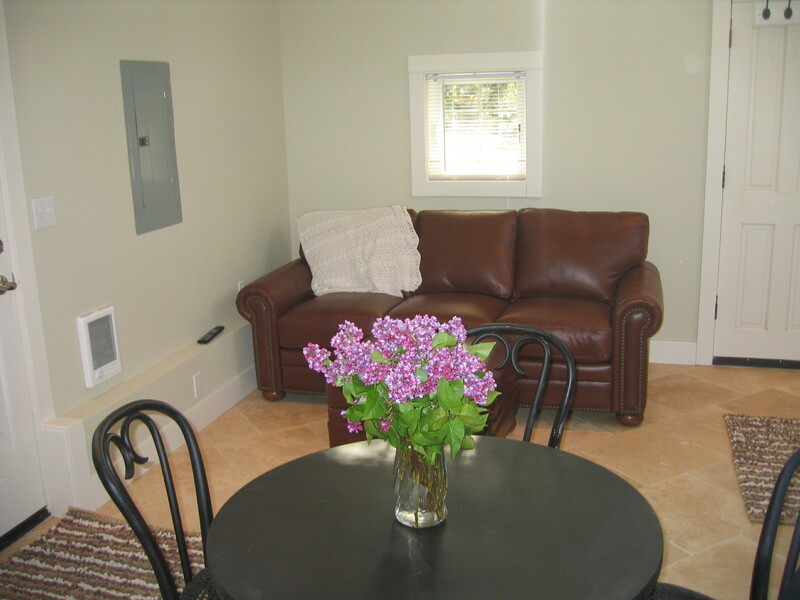 Barbara worked with Jack Barnes Architect and Birdsmouth Construction to transform it into a guest house that she will someday move into herself. Don Golden & Edith Casterline’s ADU: A Front Yard Cottage: Don Golden & Edith Casterline’s house is set back far on their property so when they decided to convert their falling-down garage into an ADU they ended up with an ADU in front of their house. 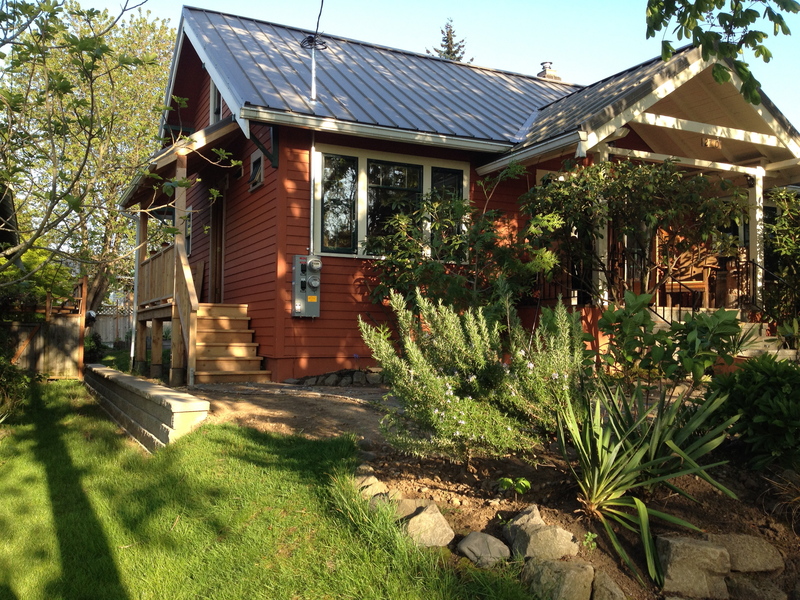 They enjoyed creating an ADU that engages with the street while still having a more private home to themselves. 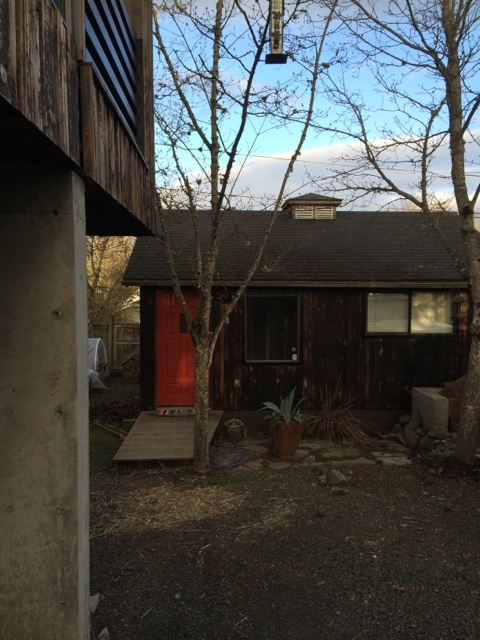 Caleb & Tori Bruce’s ADU: Existing Home Becomes Secondary Dwelling: Caleb Bruce purchased a lot with a tiny house and plenty of room up front to build his dream house. He ended up converting the small house into an ADU for the big house. 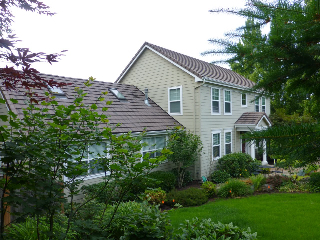 Kristy Lakin’s ADU Community: Woodstock Gardens: Kristy Lakin worked with Ethan Beck Homes to develop a piece of property with 3 primary dwellings, each with their own ADUs. She then divided the lots to sell them separately – and she found the ADUs sold faster than the primary dwellings! Bob & Adrienne Stacey’s Future ADU: Well-Planned Beforehand: Bob & Adrienne Stacy built a future ADU above Adrienne’s pottery studio which is connected to their primary dwelling. Someday they plan to convert the studio so that this unit can become an ADU. Even now having a little extra wiggle room is great since their kids and grandkids live in the house, too. Richard Wallace’s ADU: After having plans drawn up for a detached ADU on his own property, Richard Wallace, owner of RS Wallace Construction, determined he didn’t want to give up his backyard. Instead he created an addition on top of an existing one-story section of his home. 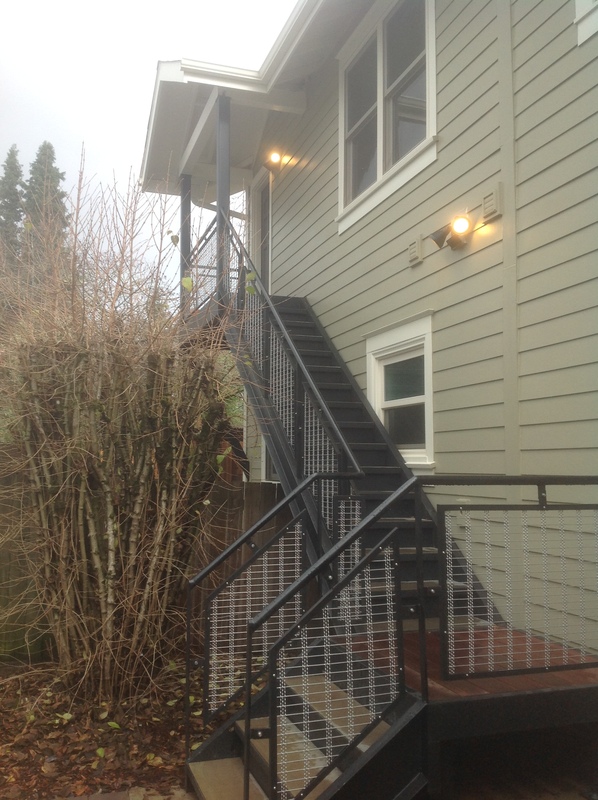 The provided access to this second-story ADU addition via an exterior entrance. Bob & Jenny Harris’s ADU: A Mother-in-Law Wing: Bob & Jenny Harris purchased a home that would allow them to add an addition that could serve as a mother-in-law suite. This set up works splendidly for their extended family, particularly during holidays and game days when the whole family shows up. Joe Wachunas & Naomi Cole’s ADU: Reworking the Garage: Naomi Cole & Joe transformed their attached garage into a small ADU to generate some additional rental income. 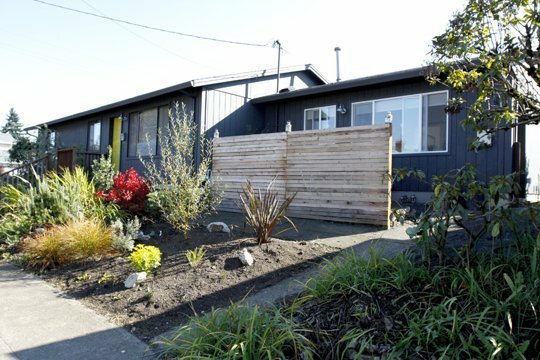 Sheila Butler’s ADU: From Shack to Guesthouse: Sheila Butler purchased a property with an existing shack and transformed it into a livable space where she and her family of 5 lived while remodeling their primary dwelling. They now use it as a guest house for visiting family and friends. Great perspective, Lina. I’ve always thought the carve-out form had great possibilities. A carve-out utilizes existing structure, like a basement apartment, but doesn’t have issues of dampness and deepness to solve. It’s on the same level, so it’s good for access and for light. It could work especially well if somebody wanted to renovate their primary dwelling for other reasons. I’m interested in seeing more of them. Thanks, Martin! I agree that carve-outs have a lots of potential. 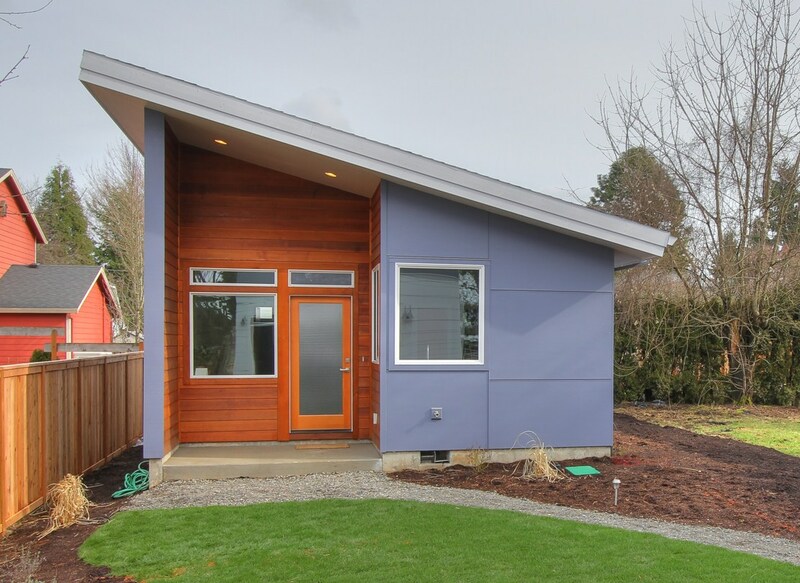 It was fun to see how many different options there are to create an ADU in Portland! 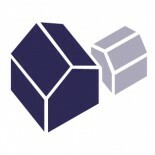 My husband & I have a house with 2 carve-outs. On one end is a 2/1 with its own private entrance. On the other end is a 1/1 also with its own private entrance. The main house in the middle is 3 bedrooms/2 1/2 baths. We are currently living in the one bedroom and have no mortgage payment! 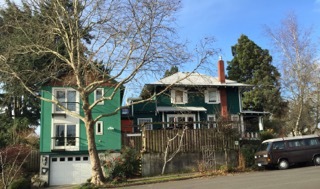 This entry was posted on February 12, 2016 by linamenard in Design & Build, News, Policy & Trends and tagged 2-story garage conversion, ADU community, attached garage, carve-out ADU, converted shack, existing home becomes secondary dwelling, front yard cottage, future ADU, mother-in-law wing, second story addition.